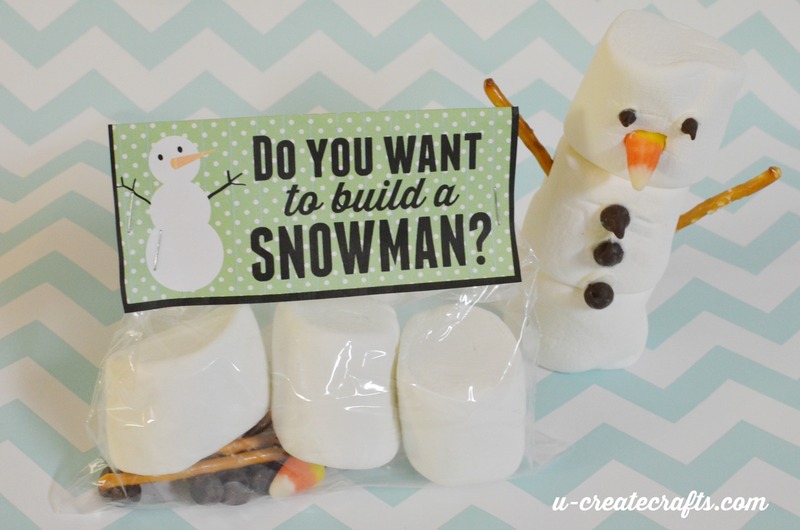 The movie “Frozen” is always a topic of conversation in our home and we love the song “Do you want to build a snowman?”. 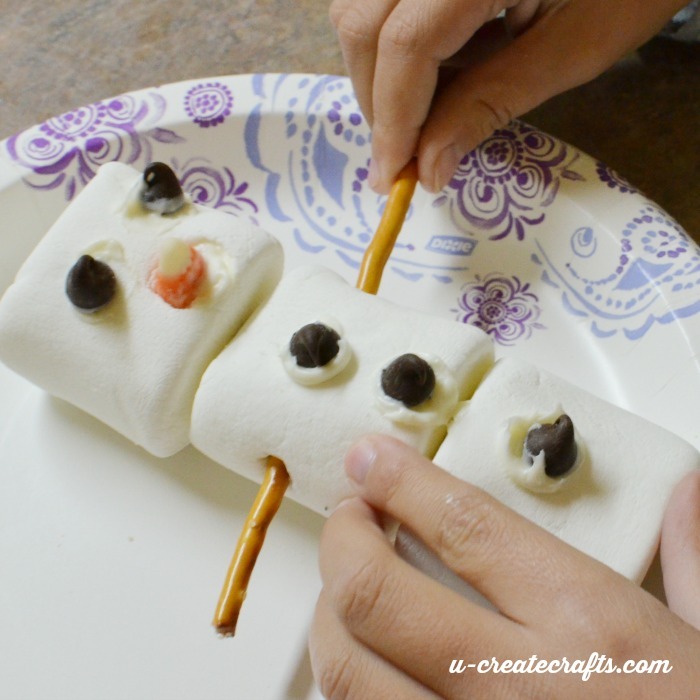 I was trying to think of a fun kids craft about building snowmen with marshmallows and came up with this idea! 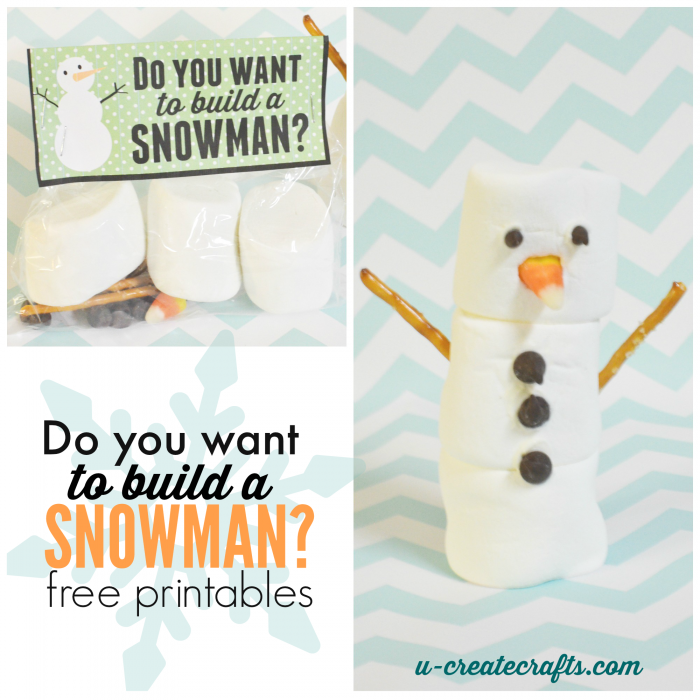 My kids made these last night and loved it so much I decided to make a printable and give them out as gifts and use them at our Christmas party this year as the kids craft station. Print out free printable bag topper. 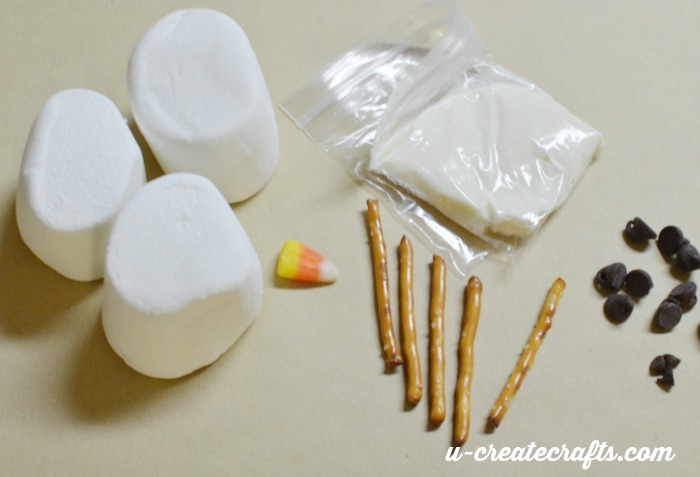 Place marshmallows, pretzels, chocolate chips, candy corn into snack baggie. Put 1 spoonful of frosting into the tiny baggie and place in the snack baggie with other supplies. Staple Bag topper onto snack baggie! You have an instant craft kit for the kids! These make fun little gifts, too! I’m so excited to do these as the kids craft at our family Christmas party this year!! Love the printable! Super cute for my kids to give to their friends! Can not find the snowman printable ? It’s under the snowman supplies list in the tutorial. Just click on the link. Thanks! Precious, what a marvelous idea. I’ll be making these for a lot of people. Great timing, I’ll be seeing my grand kids over the holidays. Thank you. You’re welcome. Your grandkids will love these. We did these kits with my children and some neighborhood kids and it was a big hit!